Niki Alling's Blog: New Release! Shapes are all around us. 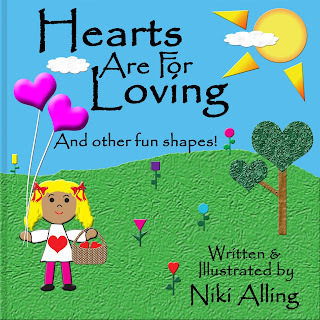 This fun, colorful book shows children that shapes can be for many things. It’s designed to spark the imagination and have children thinking about shapes in ways they might not have before. This book can be for Valentine's Day or any time of year.